TSCC Season Finale - The Return of Event # 7! Come join Triad Sports Car Club at the Dixie Classic Fairgrounds on Sunday, November 18 for TSCC's Season Finale - The Return of Event # 7! Take Business I-40 to the Cherry St. exit. Go north on Cherry for about 2.2 miles. Turn right on W.27th St. (You'll see the Goodwill Industries on the corner.) Go about 4/10ths of a mile, enter the lot at the fair offices on the left (Gate 9). Tech Closes Promptly at 9:30 - Must be in Tech line by 9:15AM or you will not run! On Site Registration will be an additional $5. Register on-line today and save money. Ride Along Passenger Registration: If you have a friend, significant other or any other person who's at least 16 years old, please register them as well using the Ride Along Registration option. 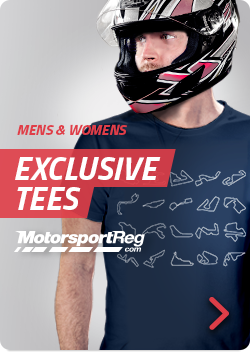 You can prepay online through the secure MotorsportReg website. Payment is deferred and accounts will not be charged until registration closes, so if you register and find out that you can't make it please cancel your registration prior to registration closing (11:59pm Friday, November 16, 2018) and you will not get charged.